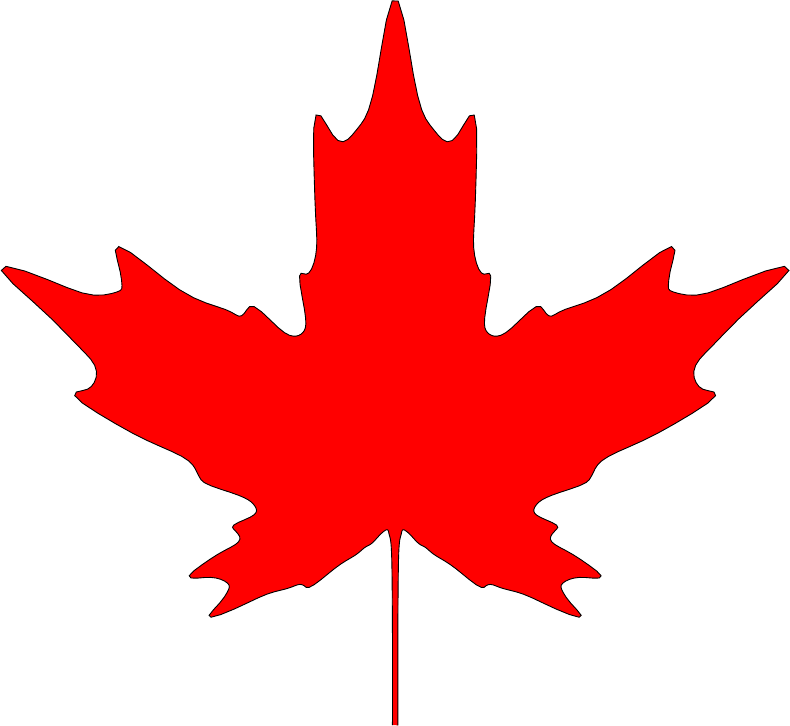 How to draw a maple leaf in TikZ? 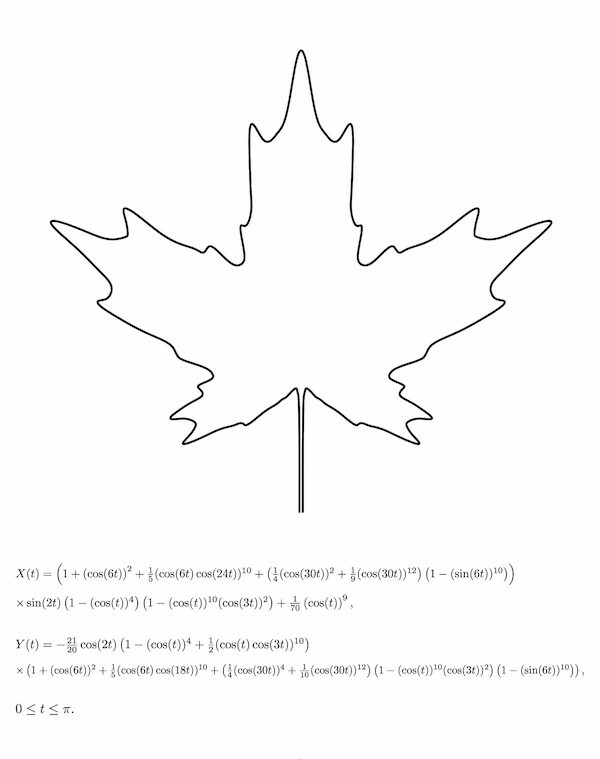 Is it possible to implement such functions and draw the leaf using TikZ? I left in my original line-breaks and potentially unnecessary parentheses. I recommend qtikz or ktikz on GNU/Linux to easily preview TikZ pictures. Also, when copying the formulas, make sure to always add a "*" between numbers and "\t". I am not sure why it is necessary, but TikZ seems to read things like "6\t" wrong without giving any errors. Measuring TikZ leaves and using measurements to set sibling distance? 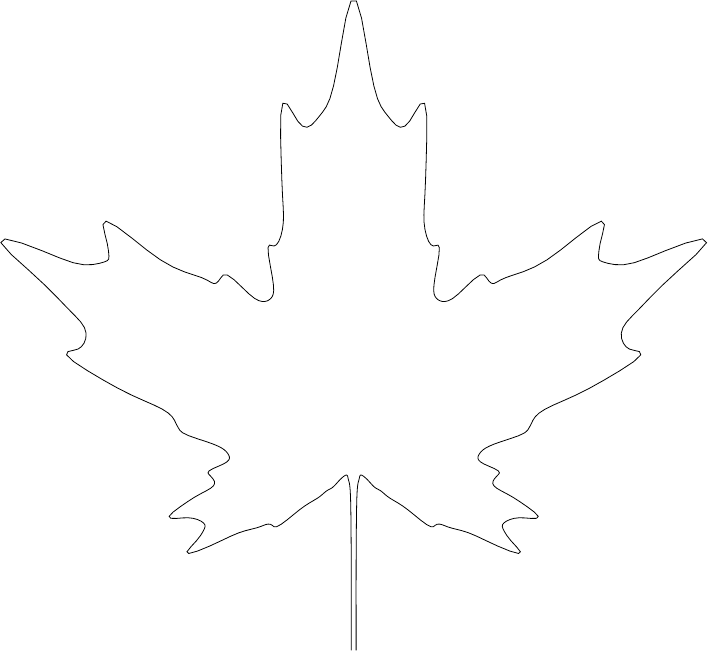 How to move tree leaf nodes horizontally after automatic positioning? intersection of functions or polygon tikz? How do I draw this arrow in Tikz?